LOS ANGELES- February 11th, 2019- Profiles in History is proud to announce Transformers: The Auction . The auction will feature iconic pieces from three of the most recent installments of the worldwide blockbuster franchise to date, Transformers: Dark of the Moon (2011), Age of Extinction (2014) and The Last Knight (2017). Each lot has a starting bid of $100, allowing fans of all budget levels to compete for items from the iconic film series. 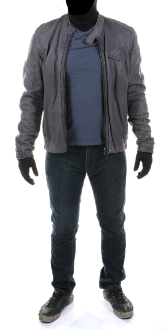 “Sam Witwicky” gray leather jacket ensemble from Transformers: Dark of the Moon. Pictured left. “Optimus Prime” CB radio from Transformers: Age of Extinction. “Cade Yeager” hero working alien tech rifle prop from Transformers: The Last Knight. “Cade Yeager” hero talisman prop from Transformers: The Last Knight. 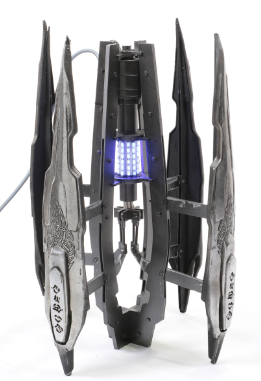 “Seed” terraforming device hero working prop from Transformers: Age of Extinction. 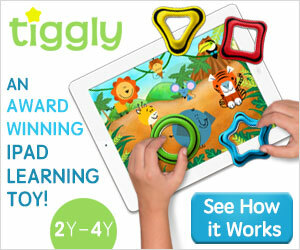 Pictured right. “Vivian Wembley” 3-headed dragon pendant necklace from Transformers: The Last Knight. “Vivian Wembley” hero FX staff of “Merlin” prop from Transformers: The Last Knight. “Jimmy” sunburst FX pyro blaster from Transformers: The Last Knight. “Mohawk” holographic rider “Decepticon Angels” ensemble from Transformers: The Last Knight. “Merlin” plate armor battle ensemble from Transformers: The Last Knight. 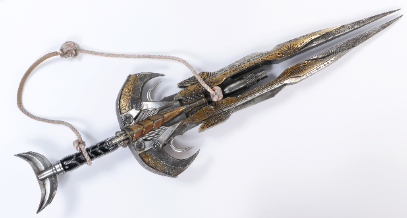 “Cade Yeager” open alien laser sword with rope strap from Transformers: Age of Extinction. Pictured below. “Merlin’s” tomb sarcophagus lid from Transformers: the Last Knight. “King Arthur” plate battle armor ensemble from Transformers: The Last Knight.